Are you looking for unique ways to challenge your students' brains? 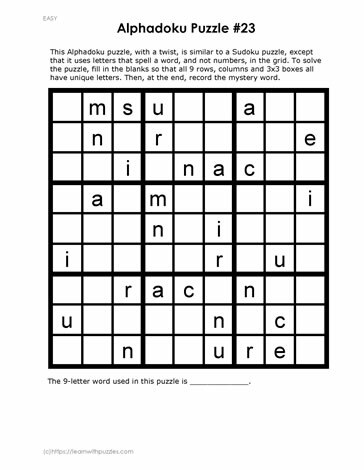 Have them try these unique nine-letter word Alphadoku puzzles using basic Sudoku rules. Once the puzzle is solved, record the nine letter word at the bottom of the page.